José James & Jef Neve in their SFJAZZ Fall Season concert at the Florence Gould Theatre in the Legion of Honor in San Francisco last November. 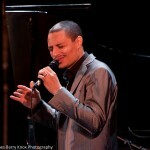 José James will be performing with McCoy Tyner on October 16 for the SFJAZZ Fall Season. September 6, 2011 Filed in Photography, Singers, This is My Oakland! 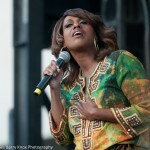 Dreamgirl Jennifer Holliday sang notes to the heavens at Oakland Pride this past Sunday.